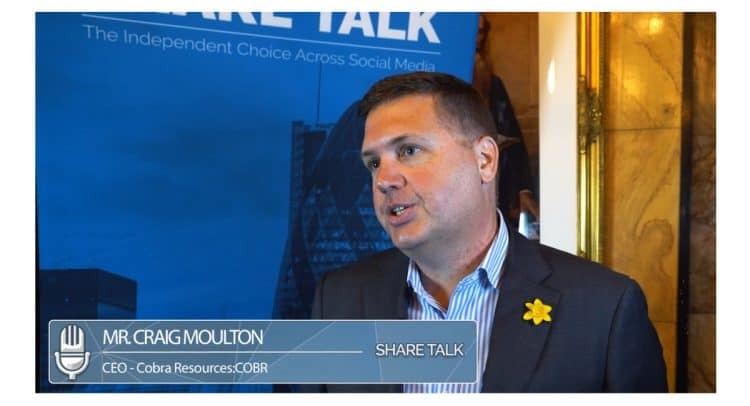 Cobra (LSE: COBR), a company formed to make acquisitions of tenements and projects in the natural resources sector, announces that it has appointed Craig Moulton as a director of the Company. Mr Moulton has been appointed as a director of the Company with a view to taking on an executive role after the Company’s re-admission to the Official List as a result of its acquisition of Lady Alice Mines, as described in its regulatory announcement on 7 March 2019. Mr Moulton brings the benefit of a long career in the geology and mining sector as a geologist and mineral economist. Mr Moulton received his Bachelor of Science degree in Geology with honours from the University of Western Australia and also holds a Masters in Mineral Economics (with Distinction) from Curtin University.